Found a rear light that could be mounted high on the roll bar. Originally intended to fit onto the rear box of a Harley. 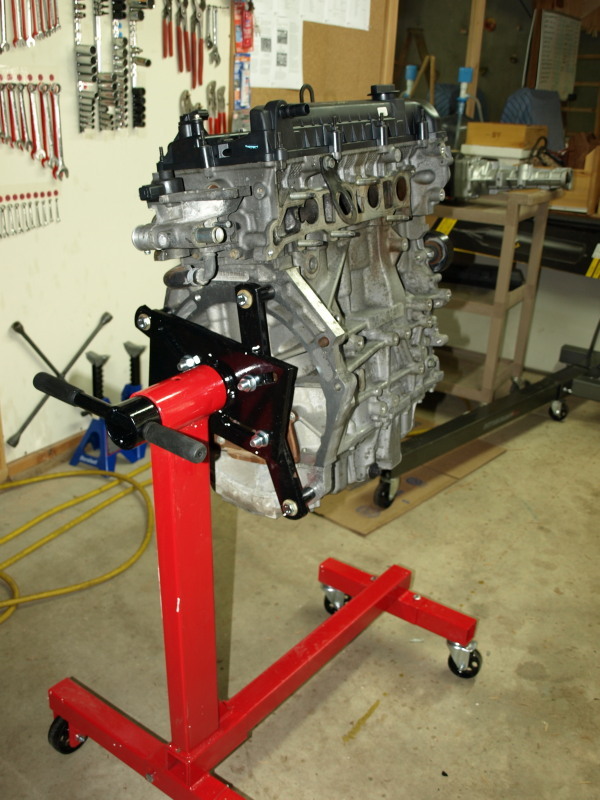 Looks like I’ll need a couple of clamps that will fit onto the roll bar – saw some on the Summit Racing (Reno) web-site. Need to confirm the diameter of the roll bar (I think it should be 1 ½”). Ordered the light & it has arrived. That would be 18th March at the earliest in Denver. Friday. The bung for the gearbox arrived in the post this afternoon. 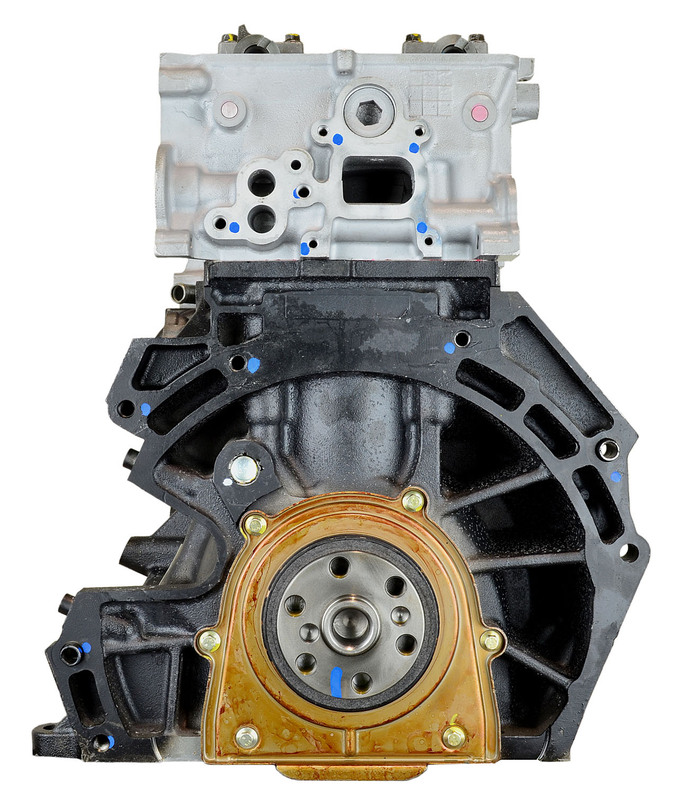 It needs a 1 3/8” hole to be drilled in the gearbox cover. I didn’t have a metal drill that size so went to Ace hardware, they didn’t have a regular drill bit that big but sold me a bi-metal hole saw. 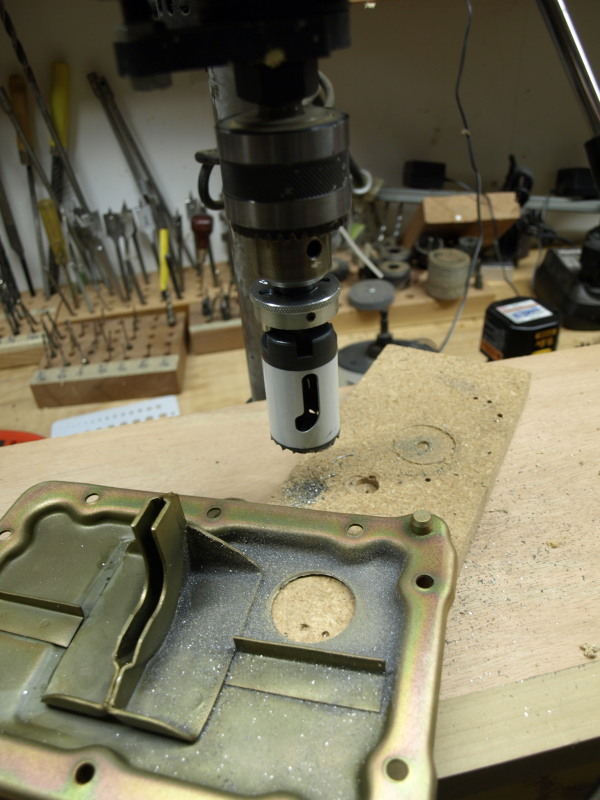 I was dubious, but got it working in the drill press & sure enough I drilled a hole in the cover. Washed the cover in hot soapy water & a spray to get rid of all the iron filings. Mounted the bung, which has an o-ring and a locking set screw, and used some blue locktite. The cap also has an o-ring and sticks up about ½” above the cover – I hope it won’t have clearance problems later. In retrospect, I had no clearance problems. However, I did have a problem with the base part of the bung rotating in the gearbox lid when I unscrewed the cap. This needs to be tight enough not to rotate. 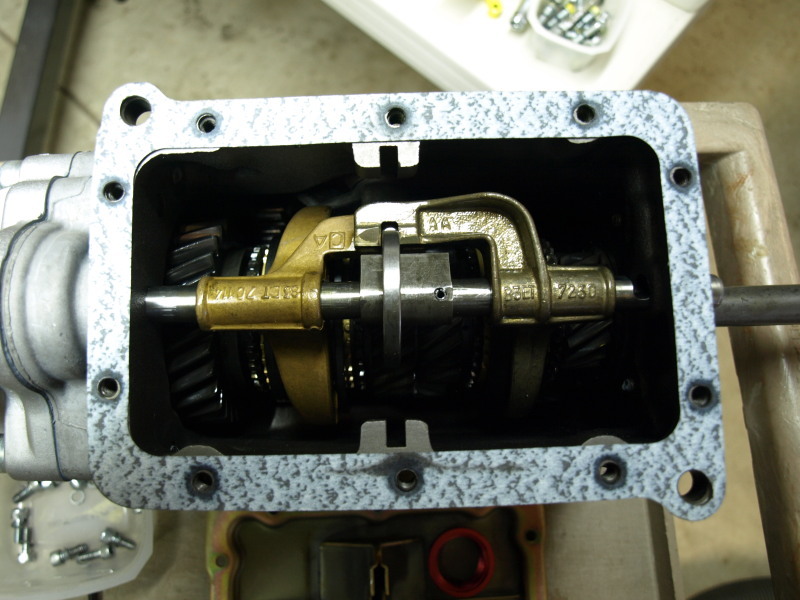 Took the opportunity to photograph the inside of the gearbox with the lid off. I may never see inside here again (if I’m lucky). In retrospect, I was not lucky. Monday. 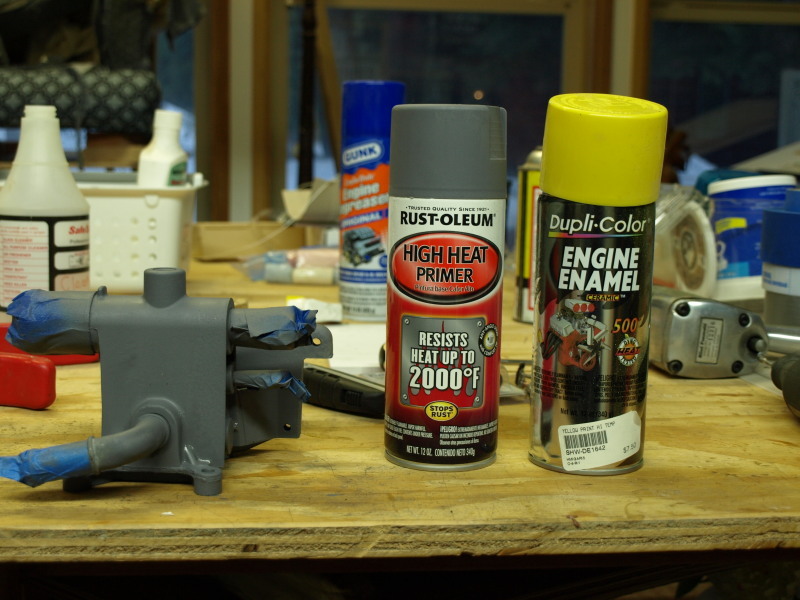 Baked both sides of the engine block with the space heater @ 3’ for 30 minutes each side. Removed the oil pan. The oil remains have rust & water. 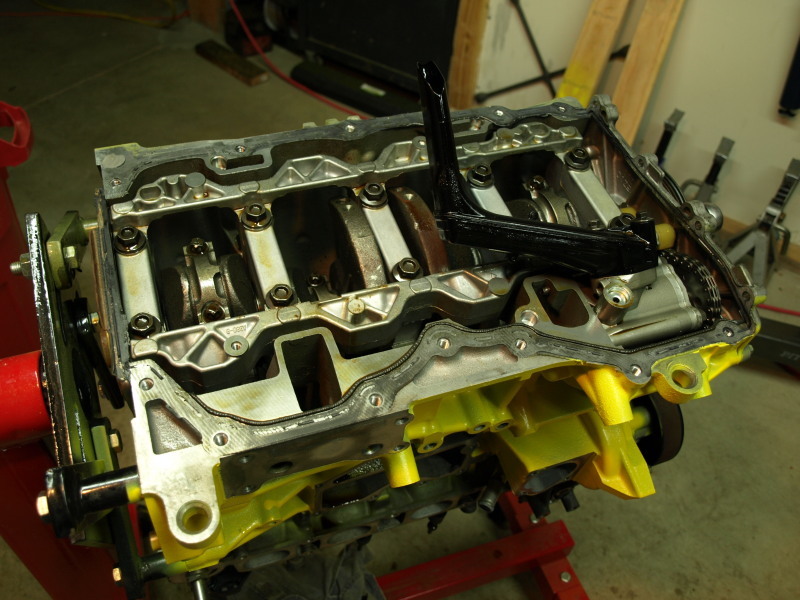 Also the crankshaft main journal looks rusty, so water has leaked into the engine. 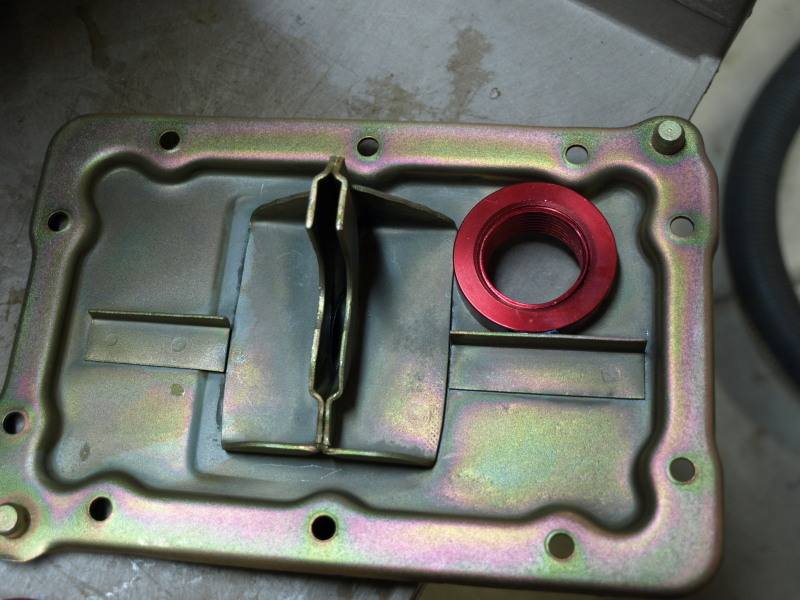 Cleaned up most of the silicone sealant (on the oil pan join). Need to get the solvent from the Ford dealership to clean up what’s left. 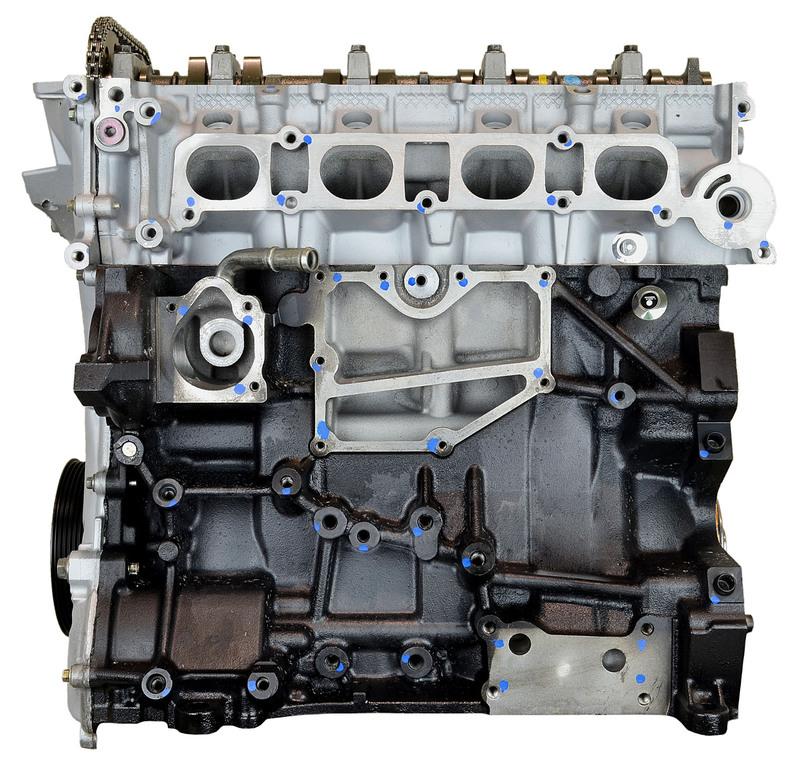 I also found some pictures on the internet of what a clean Duratec engine looks like. 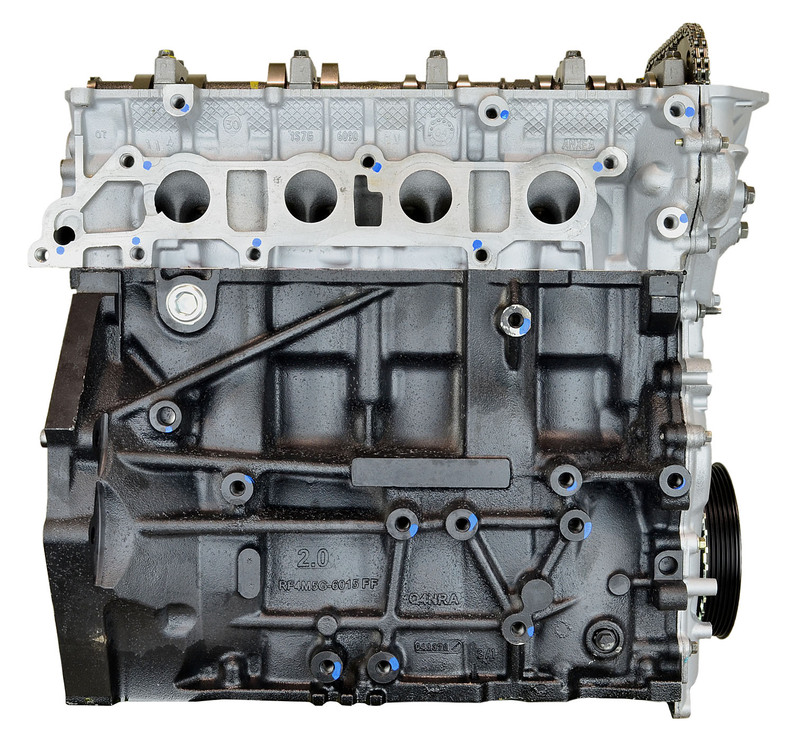 Note that this is NOT my engine! Sunday. Masked off the parts I didn’t want painted. 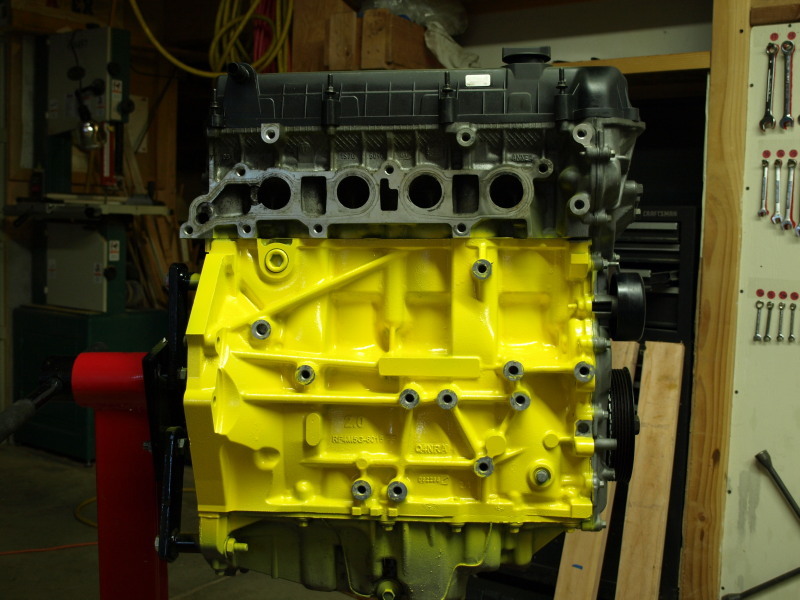 Spayed Rustoleum primer followed by Dupli-color yellow engine enamel. Used the space heater 4 feet away to bake the paint. Looks much better in yellow! Well not much more I can do until the kit arrives from Caterham & I can bolt on the new parts onto the engine. 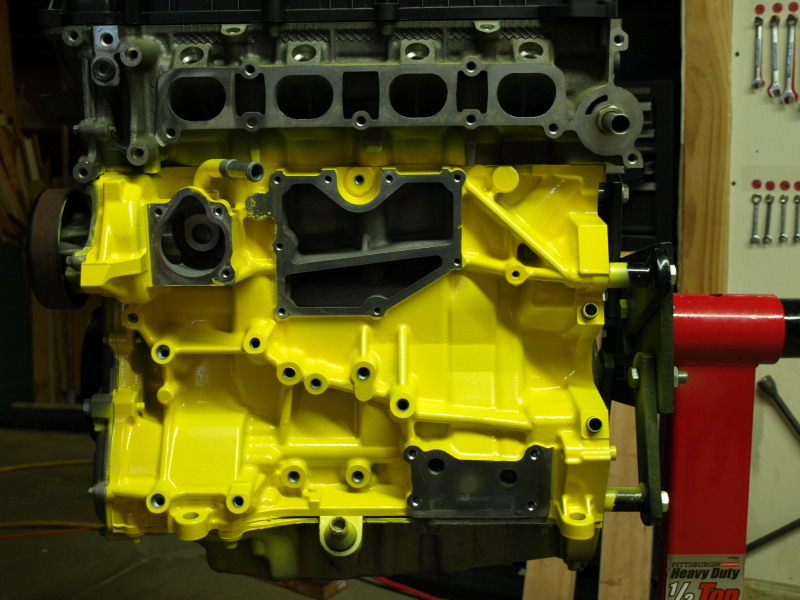 Cleaned up the coolant outlet casting & painted it yellow. 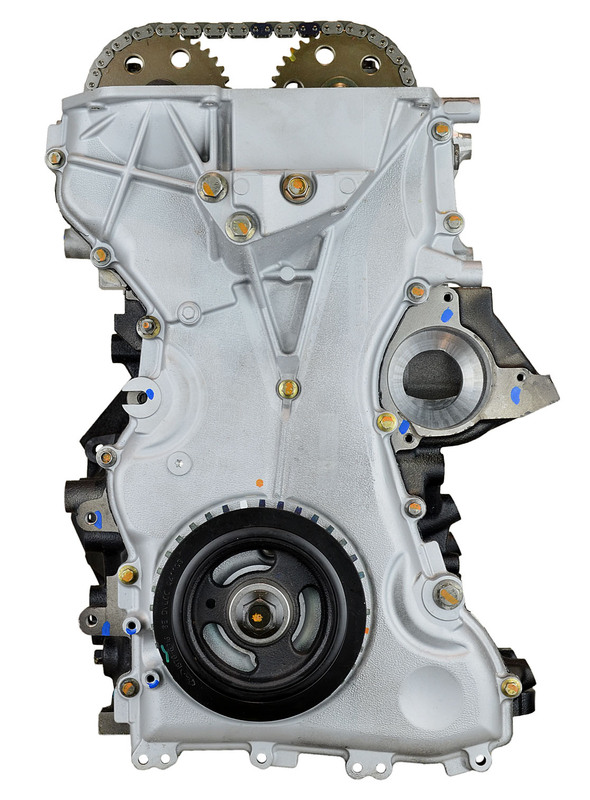 The EGR casting is very cruddy on the inside, tried boiling water then vinegar overnight. Then radiator cleaner solution on Monday. We’ll see Tuesday. Saturday. Cleaned up block casting with gunk & aluminum jelly & wire brush/dremel, then washed down with dishwashing soap & water. Still looks a little cruddy, but its clean & ready for paint. Let it dry overnight. Went down to Summit Racing in Reno & bought the engine paint. The Torx external socket size E14 fits the flywheel bolts, but can’t get enough force with the regular socket wrench. Fired up the compressor and could only get the bolts to move when it got to 90psi. The bolts look like they have red Loctite on them when I finally got them out. 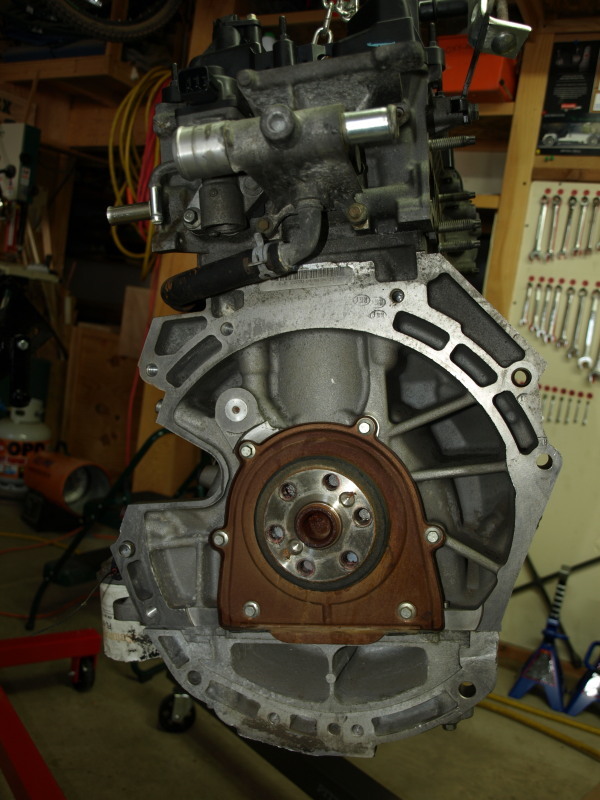 Flywheel is off. 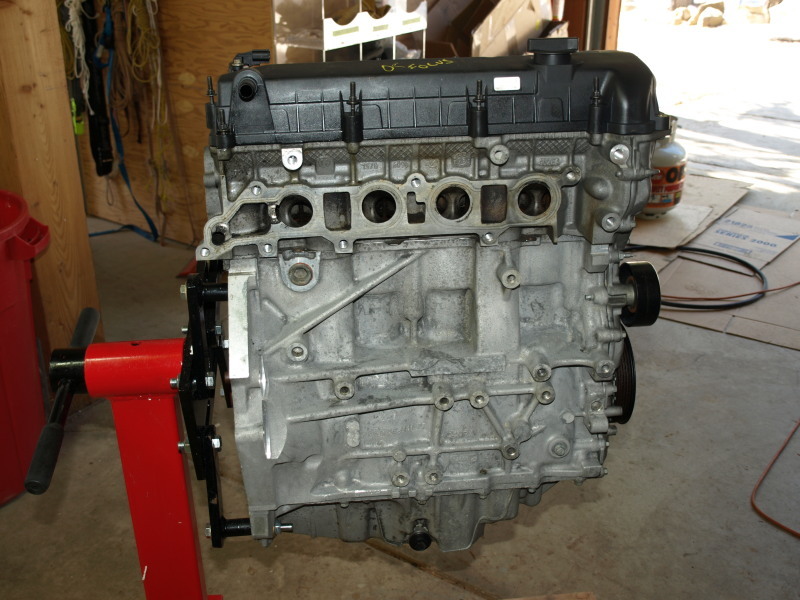 Mounted the engine onto its stand. 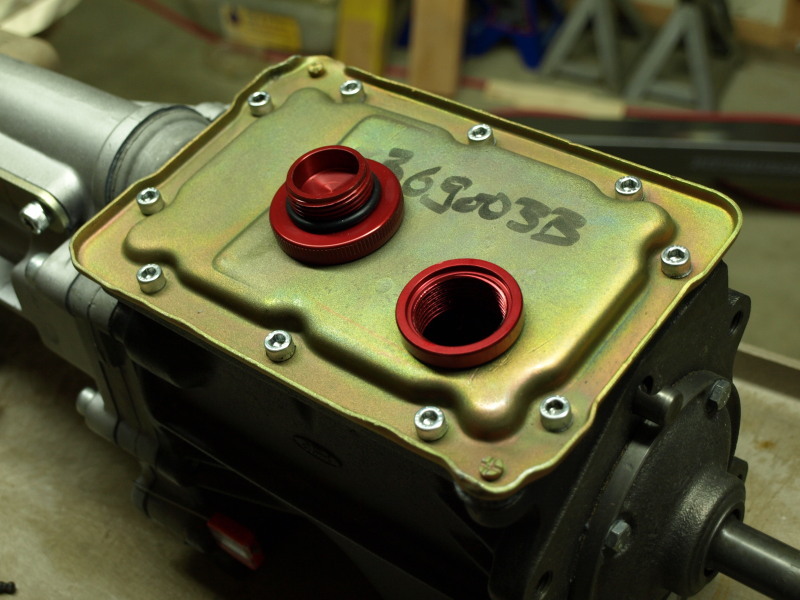 Removed the bolt studs from the exhaust side of the head – needs an E8 torx external socket. 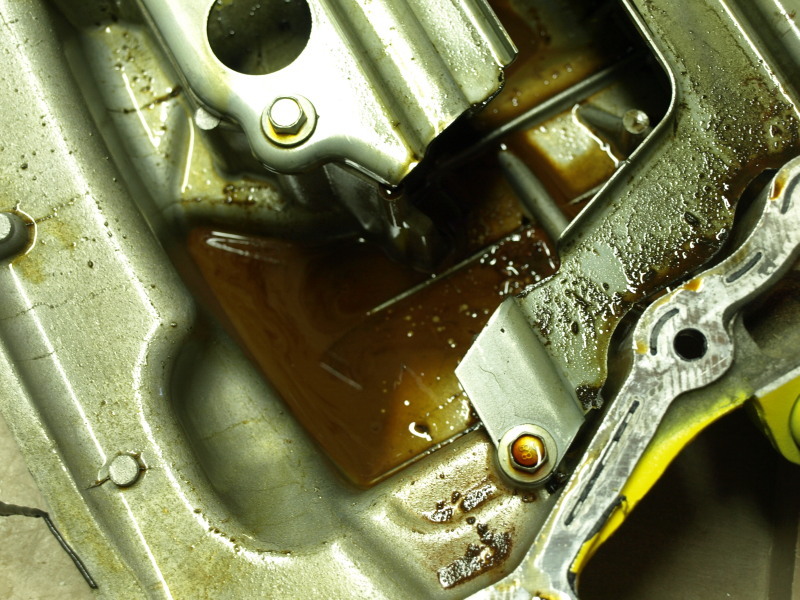 Drained the oil – it looks like a strange brown color maybe it has rust mixed in? 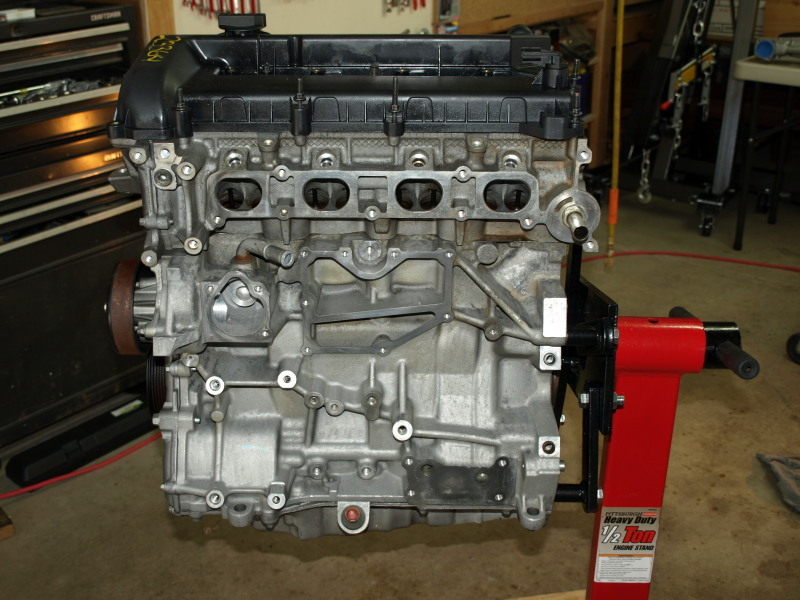 Removed the oil filter – it’s a Motorcraft FL-910.